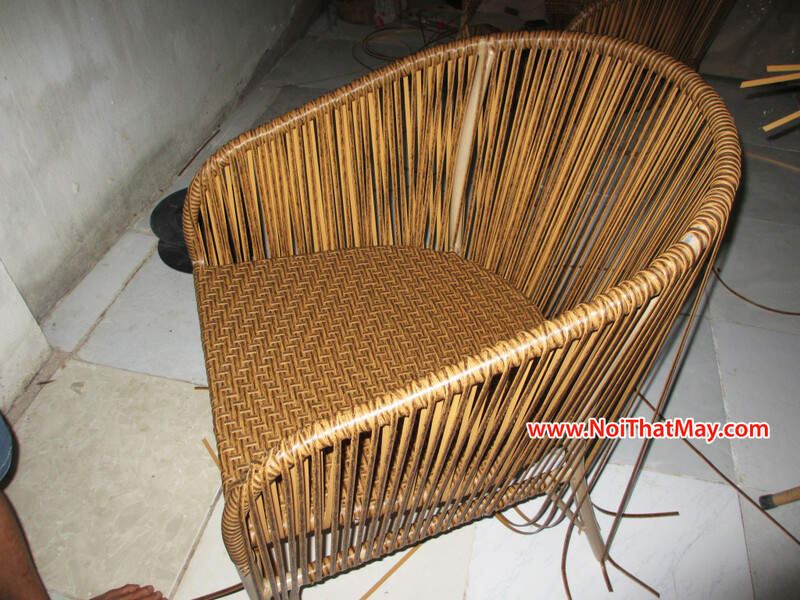 Natural rattan is without doubt one of the most popular materials used in furniture making today. 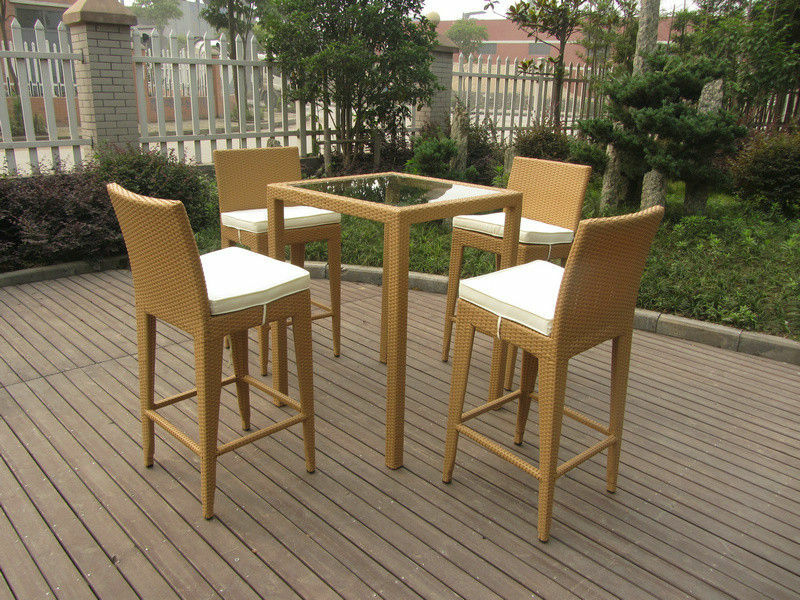 It is an extremely pliable material, so its ideal for forming furniture pieces for the home and garden. It is incredibly strong, has been utilised to make furniture for centuries, it will not splinter, and has excellent durability that can withstand even the most challenging weather conditions. 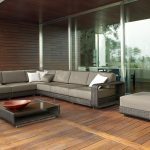 Consumers are now asking themselves if they should purchase natural or synthetic rattan furniture for the garden or conservatory? There’s no obvious weakness to natural rattan, so why is there a need for a synthetic version? Well the primary reason is cost. 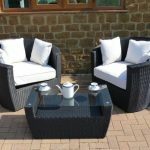 Rattan style garden furniture is continuously growing in popularity and manufacturers wanted to achieve the distinctive timeless look and feel of natural rattan at a fraction of the cost. 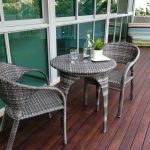 The other big advantage of synthetic or poly rattan is that fact it is not susceptible to mould like the real thing, and it is very easy to clean with just warm water and washing up liquid. Natural rattan does not withstand the outdoor elements particularly well and is vulnerable to the effects of moisture, hence why in our opinion its better suited to the conservatory than the patio. Synthetic on the other-hand, is right at home inside and out. At Minh Thy Furniture we are all about the comfort. 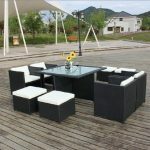 And the level of comfort a garden set provides is just as important as how it looks. A beautiful but uncomfortable outdoor area is of no use to anybody. Both natural and synthetic rattan garden sets are typically paired with sofa style cushions and pillows, so when it comes to comfort, they’re hard to beat! 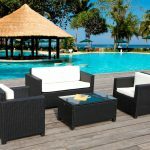 Synthetic rattan furniture still maintains the look and feel of natural rattan combined with that long lasting durability that has made it such a popular material in the construction of outdoor furniture. 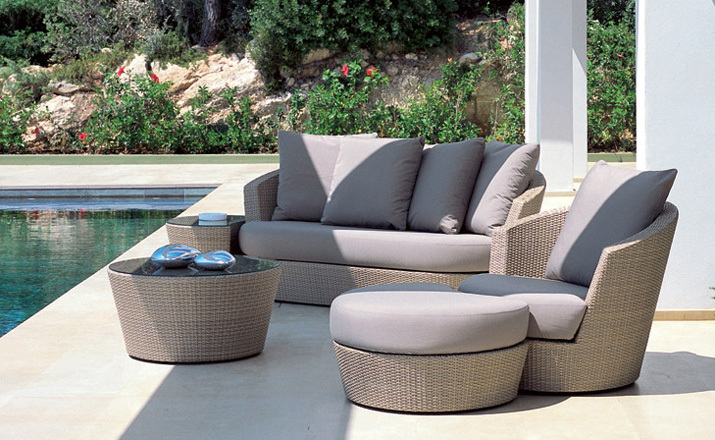 In fact, I’d even go as far as to say that synthetic rattan garden sets are more durable than natural rattan. Wrapped around a strong aluminium frame, manufacturers are using plastics and resin to create the wicker-like weave. And just like the real thing, the plastic is extremely compliant and easy to shape. 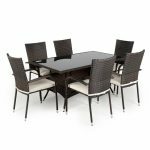 It is available in a wide range of colours, plus it still maintains all that strength we associate with natural rattan. With any form of synthetic furniture, it is not uncommon for people to generalize that due to the lower price, the quality is simply not there, but that is just not true. Synthetic rattan is built to last, whether it’s left on the patio or in your conservatory. 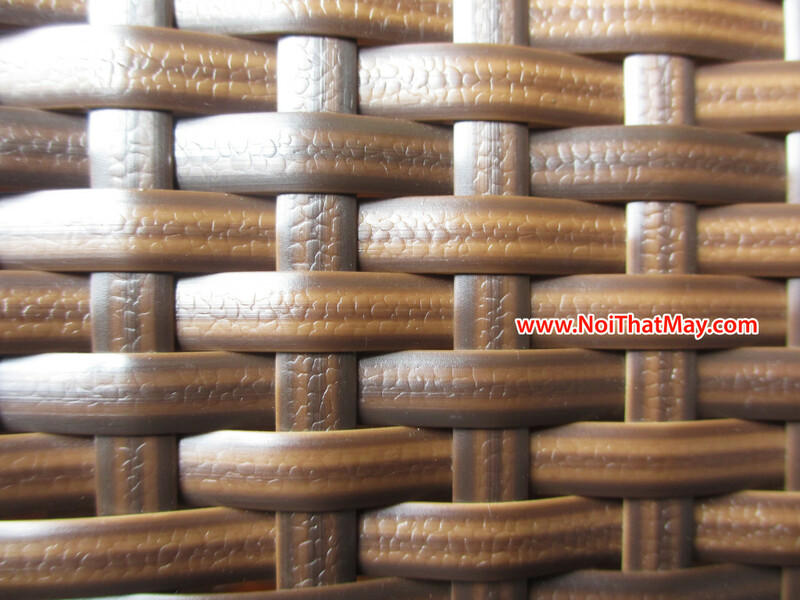 Natural rattan, whilst unquestionably beautiful, can be easily damaged by UV light if left in direct sun. If you let the price of this type of furniture taint your decision when making a purchase then you could be missing out on real bargain. 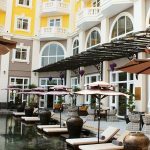 Their design sophistication, and the innovative framing techniques that are used, makes synthetic rattan furniture highly desirable. Synthetic rattan garden sets look identical to those made from natural rattan. 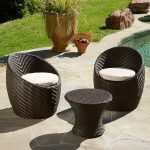 They’re woven in the same way, come in a variety of different designs, styles and shapes, and they give your garden a the same stylish look. 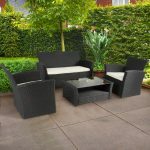 With new designs coming out all the time, there are some fantastic promotions to be found and regular garden furniture sales can be found online and in stores. 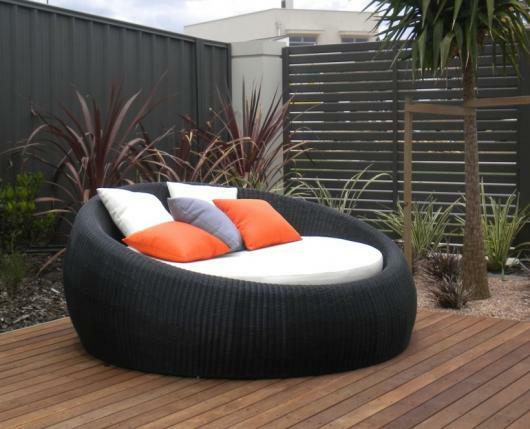 Plus, many of the modern synthetic rattan furniture ranges are still what most people would consider a ‘luxury’ item.